Upholstery in general can be difficult to thoroughly wash, and its finish is easily damaged due to products used. 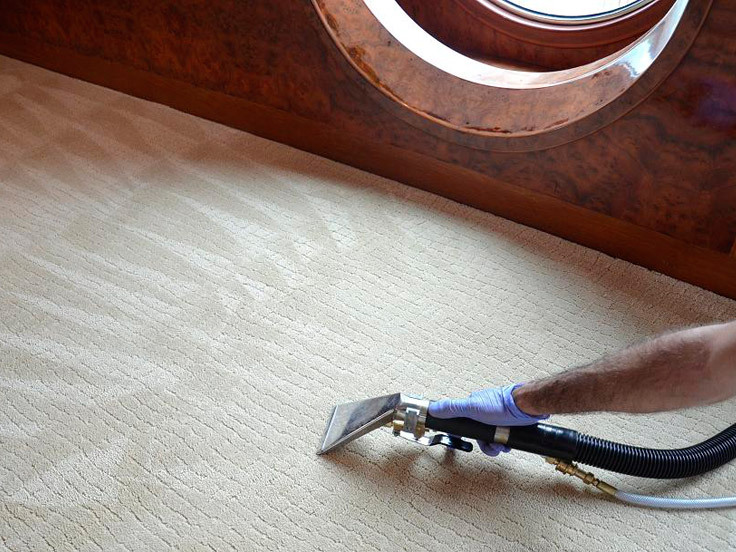 Our upholstery cleaning service has the answer to not only clean the inside of your yacht, flooring, upholstery, seats, mattresses, curtains, and much more, but also disinfect without the use of chemical products that may harm the finish/feel of the materials used to build your yacht. Steaming favourably differs from dry cleaning because it does not accumulate the remnants of chemicals that affect the skin and the respiratory tract of people who come into contact or that are in the direct vicinity of the upholstery/surface that was cleaned. 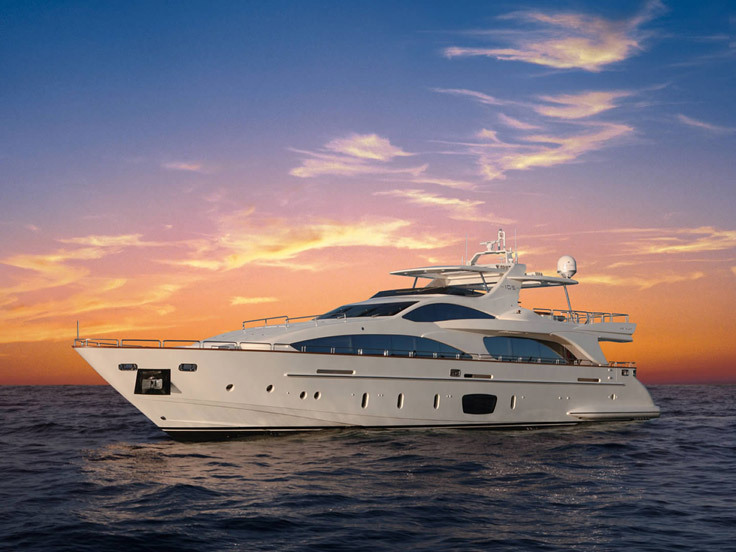 We strictly use professional steam generators for any form of steam cleaning and eco-logical “green” cleaning products, as a result your yacht will be left looking great and bacteria free! We highly recommend to disinfect and sanitize every year just before the season starts. Because steam does not just clean but also deodorizes, sanitizes and kills most of the germs present. For light coloured carpets and any other kind of upholstery, we recommended for it to be cleaned more often. 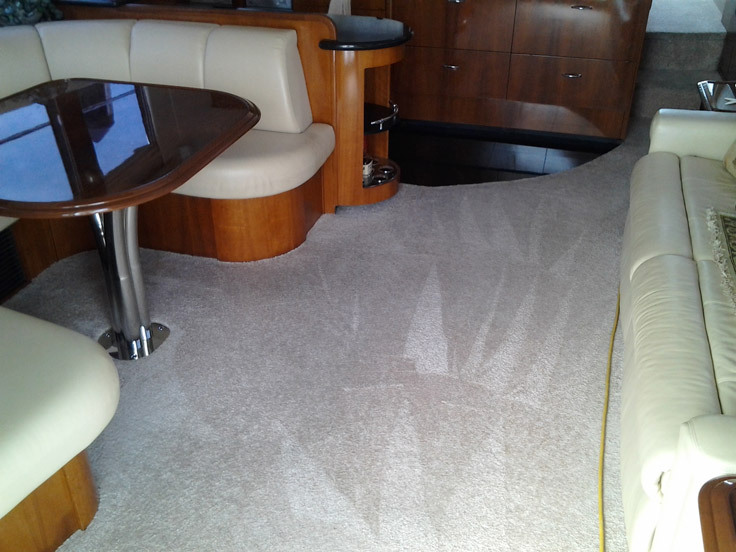 In the case that any food or liquid is spilled on the upholstery or carpet please call us immediately, as there is chance we can get all of the stain(s) out and get a 100% result (depending on the material and product that was spilled). If the boat is dull or oxidised then the boat needs to be machine polished to get the best finish. A compound is applied by machine, followed by a lighter finishing material also by machine to give a mirror finish. 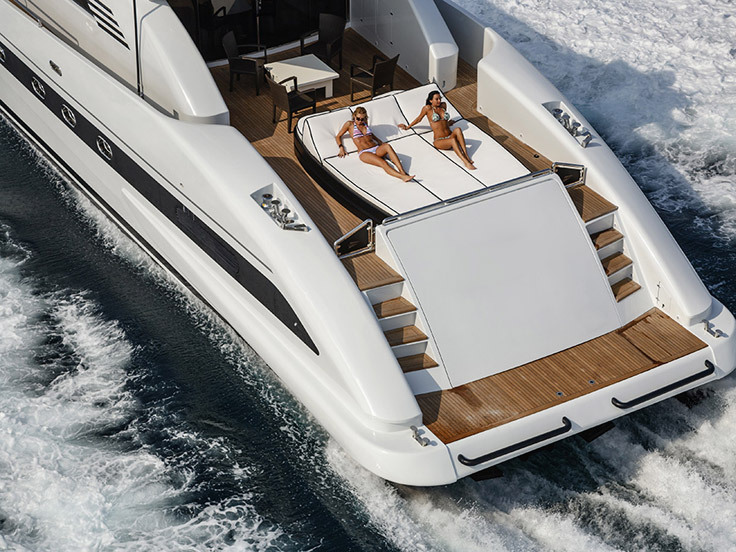 The boat is then protected with a performance wax which will make the boat look sensational as well as protecting it. Alternatively Nano coating can be used. 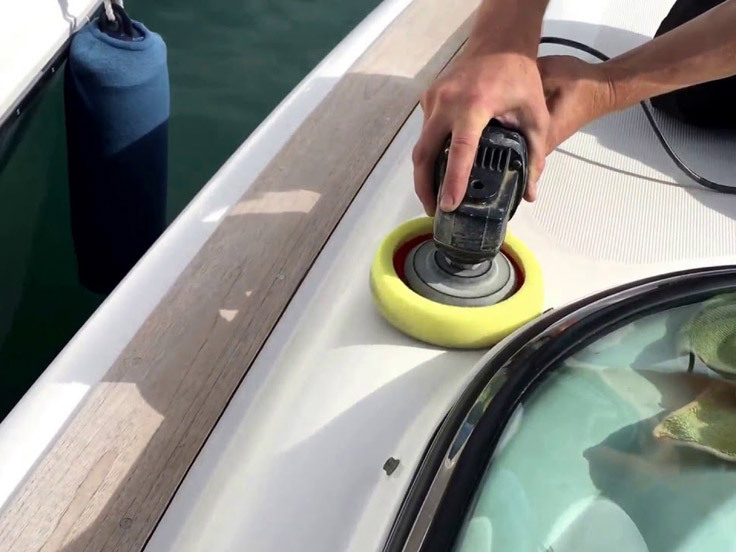 Gel-coat and paint when exposed to UV will suffer from oxidation (fading) this is an industry wide problem for boat owners, boat builders and boat operators as well as the commercial sector. Before we start with steps boat has to be washed the working area. We use Steam for cleaning. The golden rule is to polish the surface as little as possible and apply a protective coating that offers a level of UV protection and re-apply when necessary. A yearly cut and polish using harsh compounds will only degrade the surface to the point of no return, remember gel-coat and paint is only very thin and continuous abrasion will result in the surface having to be painted, wrapped or new gel-coat applied all of which are costly. Polishing can be done: Topside Only (above rub rail), Hull Only (below rub rail) or both. 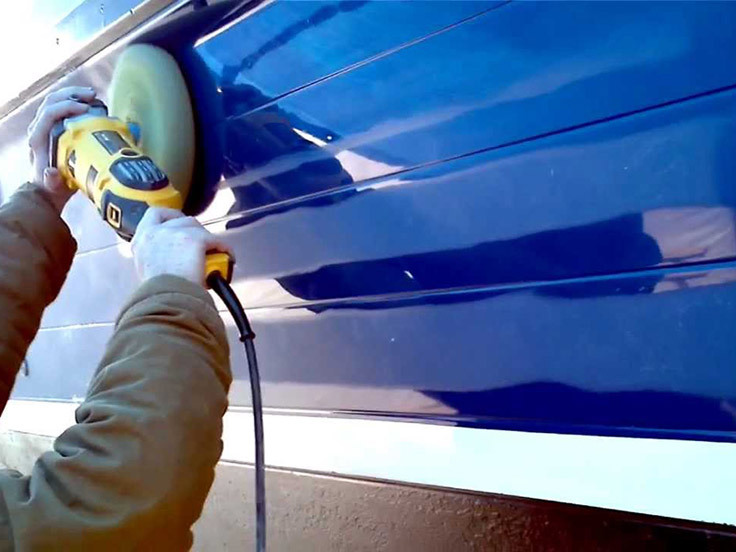 tuvapor offers an essential way to maintain the value of the boat and to keep the boat looking good all year round. 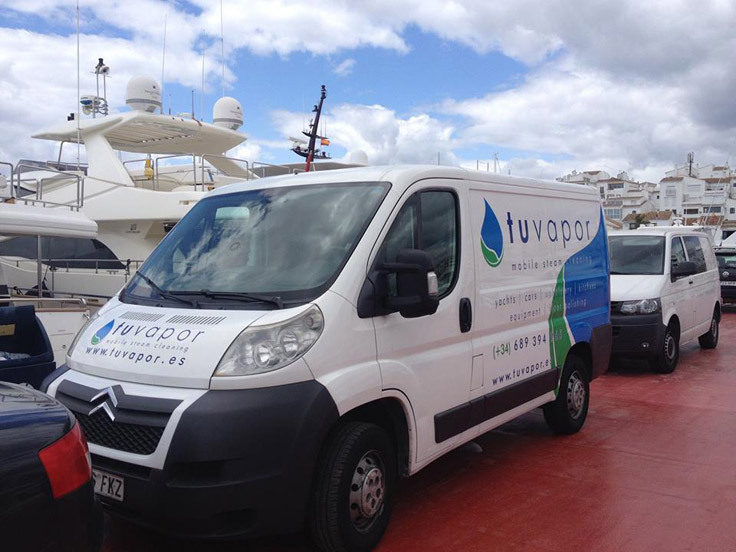 Choose tuvapor for ecologically friendly yacht interior & exterior treatments that will leave your yacht looking better than new! do free visits for estimations! *Services & Prices refer to Spain (mainland) and are without VAT, (price may vary depending on condition and material) please call us for a correct quote, we do free visits for estimations as the best way is for us to see the work needed and give our customers the right price straight away.